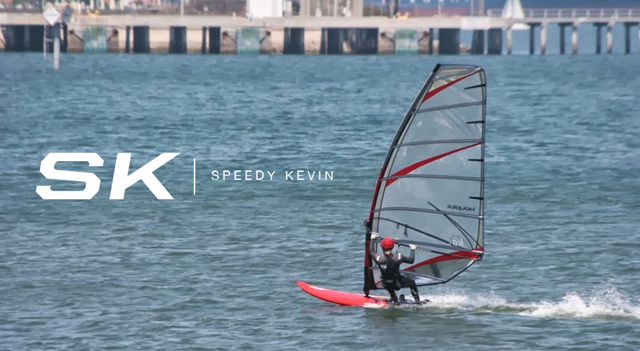 Speedy Kevin: So There is Wind Here! Anyways though, I did manage a few runs past the buoys and WOW was it awesome! Consistent clean 15+mph winds past the buoys. Eventually they sent a boat out to inform me of the restricted nature of the area. If I was asked if it worth breaking the rules to get some wind...I would respond with a resounding YES! This is basically how today's events played out! I'll wrote a review on all of them later this week a long with my review on the Chinook Race Lines and Clip On Plastic lines. Below is a picture of the tropical rain storms we get here. It came out of no where and is pretty darn heavy! Seven more days till I return! Can't wait to get back out at Cabrillo! Jack and I will be sailing hard with our GPSes!